Startup Fredericton will be working with regional partners to send 55 entrepreneurs from across Atlantic Canada on the expedition of a lifetime! 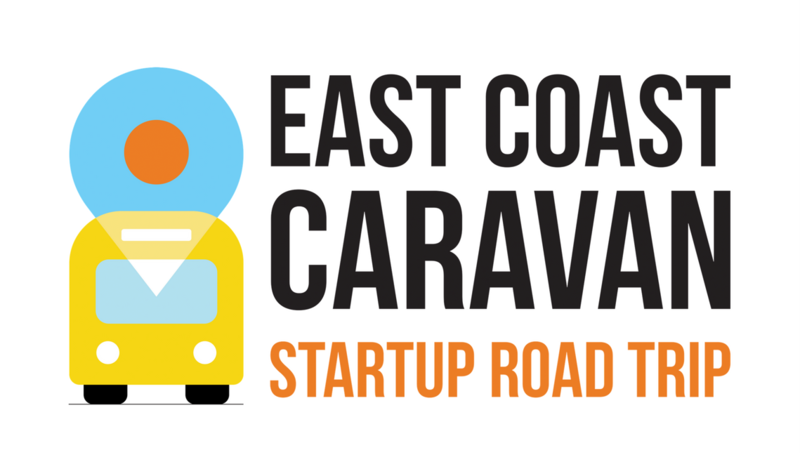 The East Coast Caravan is a bus fuelled by startup support organizations that will be carrying some of the region's most promising startups to Montreal Startupfest. Not only will they be co-travelling and co-mingling, but they'll also be co-lodging! a MEGA, global gathering of the world's leading entrepreneurs, mentors, founders and venture capitalists ALL IN ONE PLACE! STARTUPFEST BRINGS three days of WORLD-RENOWED KEYNOTES, wicked CONTENT AND large-scale investment opportunities right to your finger tips. Last year over $500k worth of investments and prizes were awarded at the event to entrepreneurs just like you! Still not sold? have you heard of their tent village? 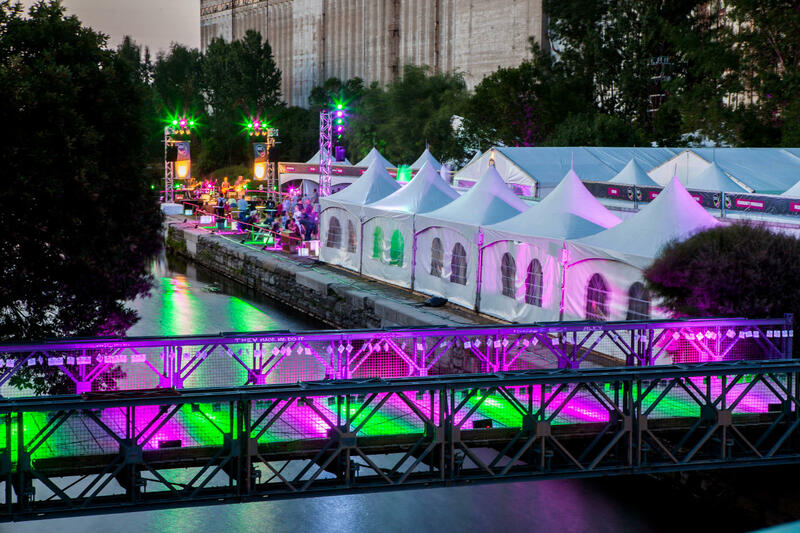 THE STARTUPFEST TENT VILLAGE IS KNOWN AS ONE OF THE MOST UNIQUE, AND ATTRACTIVE ASPECTS OF THE ENTIRE EVENT. ​PARTICIPANTS OF THE TENT VILLAGE ARE HAND SELECTED TO SHOWCASE TALENT AND INNOVATIVE EFFORTS FROM AROUND THE WORLD. COMPRISING OF OVER 30 TENTS RANGING FROM THEMED SECTORS, TO DEMO SPACES, PITCH COMPETITIONS AND GEOGRAPHIC DIVISIONS, THE TENT VILLAGE IS A BREEDING GROUND FOR ATTRACTIVE CONNECTIONS. Provided at a prime location in Old Port, the Auberge Saint-Paul Hostel will be the crew's home away from home! With unlimited WiFi, complimentary breakfast, personal lockers to secure any valuables, and an amazing view of the Bonsecours Market, the Auberge Saint-Paul is the cat's meow! Apply to be 1 of 55 entrepreneurs across Atlantic Canada chosen to attend Montreal Startupfest. Tell us why you should join our crew and hitch a ride on the EAST COAST CARAVAN! The Taskforce Fredericton Startup Network will be workingo be co-lodging! A luxury charter bus will pick up entrepreneurs at partnering locations located in Moncton, Saint John and Fredericton on the evening of July 10th. Comfort stops will be provided along the way to offer travellers the opportunity to stretch their legs and network with their peers from Atlantic Canada. Entrepreneurs will be travelling throughout the night. On the afternoon of July 11th, passengers will be dropped off at the at the Auberge Saint-Paul hostel in Old Montreal, one block away from the venue, where they will be staying for three days/nights. Entrepreneurs will be able to drop off their belongings and get themselves situated prior to embarking on day one of the festival. Startfest runs from July 11th to July 13th with multiple activities throughout the day. On the morning of July 14th, passengers will be picked up at the Auberge Saint-Paul hostel to board the same charter bus, and be returned to the original pick-up locations in which they boarded. Accommodations, travel and festival tickets are all coordinated and handled by the taskforce planning committee; just sit back, and we'll take care of the rest! The East Coast Caravan is scheduled to pick up entrepreneurs in multiple locations across Nova Scotia and New Brunswick! If you're located outside of the pick-up provinces, we can help connect you with entrepreneurs travelling from your location to the nearest pick-up spot! Follow us on Twitter / Facebook to keep up with the action!